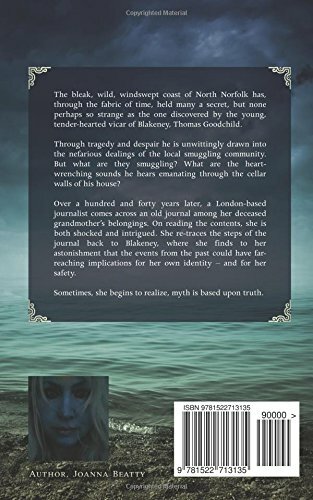 The bleak, wild, windswept coast of North Norfolk has, through the fabric of time, held many a secret, but none perhaps so strange as the one discovered by the young, tender-hearted vicar of Blakeney, Thomas Goodchild. Through tragedy and despair he is unwittingly drawn into the nefarious dealings of the local smuggling community. But what are they smuggling? What are the heart-wrenching sounds he hears emanating through the cellar walls of his house? Over a hundred and forty years later, a London-based journalist comes across an old journal among her deceased grandmother’s belongings. On reading the contents, she is both shocked and intrigued. She re-traces the steps of the journal back to Blakeney, where she finds to her astonishment that the events from the past could have far-reaching implications for her own identity – and for her safety. Sometimes, she begins to realize, myth is based upon truth. Does the phrase social media marketing make your head spin? Now you can learn the simple, smart strategies all authors need to know. Social media can be confusing. You're worn out trying to replicate the success of other authors without much luck. Before you give up, get some common-sense advice from a 20-year marketing veteran. Author Chris Syme believes that trying to mimic the success of other authors is a dangerous and expensive strategy. If you understand the "why" behind marketing tactics, you'll learn how to make strong marketing decisions that produce results based on your time, resources, and skill level. Using Syme's SMART system, you'll discover how to approach social media like a profitable business owner. With her two-decades of marketing experience, Syme takes you safely through the minefield of social media and helps you understand what truly goes into a multi-faceted book marketing campaign. 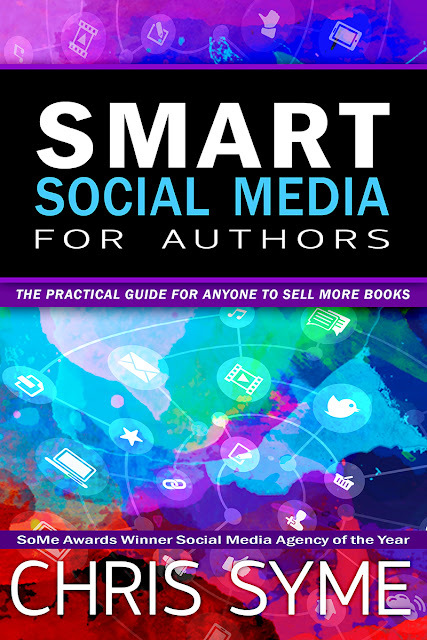 SMART Social Media For Authors teaches you how to make your social media connect with the right people, at the right time, in the right place, and with the right message. If you've struggled to make social media work for you, then you'll love Syme's user-friendly, easy-to-implement, and to-the-point social media strategies. Get your marketing back on track today! Chris Syme has more than 20 years of experience in the communications and marketing fields and is the owner of CKSyme Media Group, an award-winning consulting firm in Bozeman, Montana. Her agency specializes in digital marketing strategies specializing in social media strategic marketing for fiction, nonfiction, and academic writers. The house reunited them. Are the wounds of the past too deep for three sisters to reconcile? It started with three letters. Three estranged sisters learn they've inherited a dilapidated beach house from a relative they don't remember. The sisters each hope to get something different out of their unexpected gain. Maureen, the oldest sister, dreams of a private retreat for her family before her teenage children leave her with an empty nest. Lydia, the middle sister, hopes to secure a quick sale to escape overwhelming debt. Tyra, the youngest, only wants redemption. She knows her drug conviction broke the family apart, and this project could be her last chance to bring them back together. After twelve years apart, one crisp Pacific Northwest spring and a rundown beach house may grant Tyra's wish. As the sisters restore the property and prepare it for sale, they learn they have much more in common than a piece of property. As the sand of Inlet Beach blows against their skin, the sisters work to restore what they once were to each other: a family. 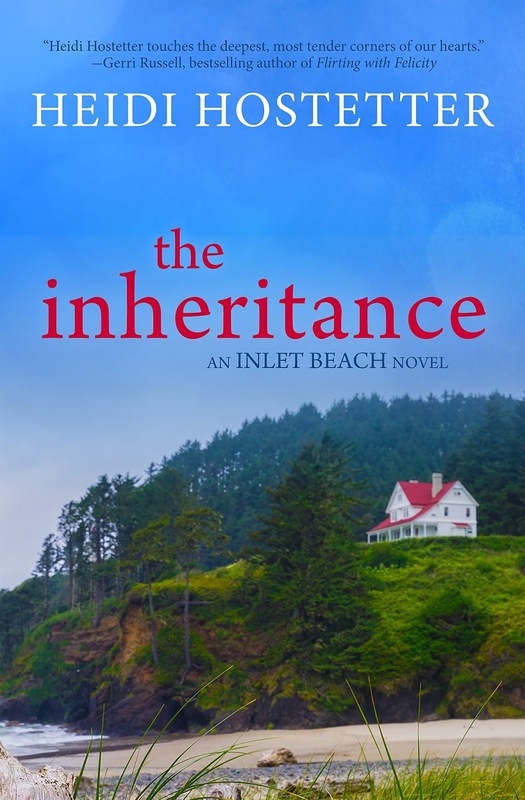 The Inheritance is the first installment in The Inlet Beach Novels, a series of women's fiction books set in a small beach town. If you like strong character development, complicated family dynamics, and the hint of a love story, then you'll love Heidi Hostetter's touching series starter. The sound of someone speaking came to her as if she were underwater, blurry at first but becoming clearer as she focused. As her vision cleared, she began to recognize the restaurant. The floor was carpet, not concrete. There were no bars on the window, and she could leave when she wanted. Her heart pounded as she forced out the breath she had been holding. They both watched as one of the mothers scattered cheerios across the table like chicken feed, and one of the boys smashed the pieces into dust with his plastic hammer. “Can you imagine the mess they’re going to leave for me?” She shoved her order pad back into her apron pocket and glared at them. Tyra reached into her back pocket to withdraw a few bills and handed them to the waitress. Heidi Hostetter lives in the beautiful Pacific Northwest with her family, and they visit the beach every chance they get. A Light In The Window is a Christmas novella from the Inlet Beach Novels, stories centered around a quirky small town off the Oregon coast. 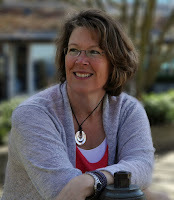 Connect with her on www.HeidiHostetter.com or find her on Facebook. 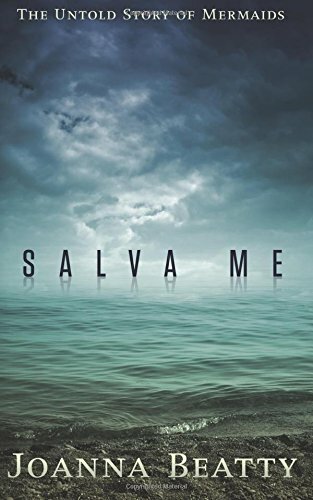 As a fierce Pacific Northwest winter storm hits the small coastal town of Inlet Beach, a mysterious visitor triggers a silent alarm. The police expect a burglar, but what they find instead is a scared kid searching for something he had left behind years before. 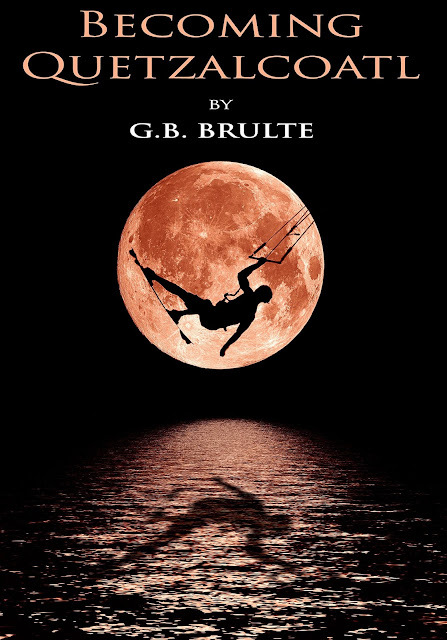 Of course the residents gather to help, because that’s what they do at Inlet Beach, but two days before the Christmas Lights Festival, he betrays their trust and destroys a beloved tradition. 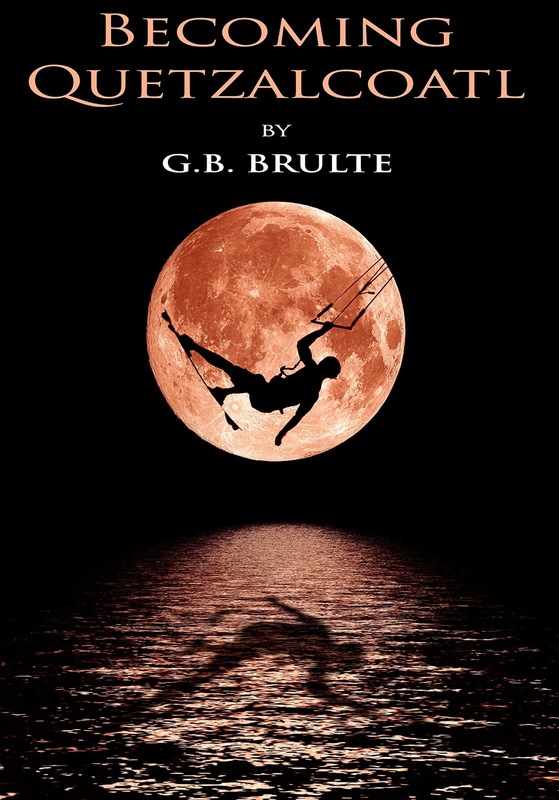 As a blustery coastal Christmas draws near, can the town find the power to forgive him? Can the boy with a shattered life find a home in time for Christmas? 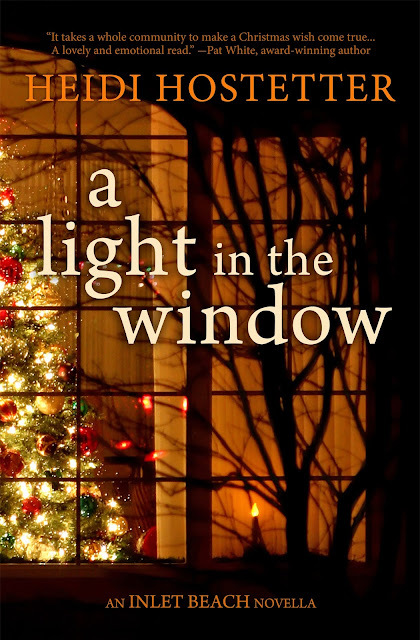 A Light In The Window is a heartwarming tale of friends, family and second chances. Tyra climbed the wooden steps from the alley to her apartment, her head buzzing from driving too much and from lack of sleep. She wondered how to tell Gordon that they might have custody of a fourteen-year-old boy, and how to tell Zachary that his mother left him. After trudging to the top of the stairs, she blinked. Mounted on the front door was a softly lit wreath, tied with a wide gold ribbon and dotted with glittery red balls. Because she and Gordon spent Christmases with her family at the beach house across town, they never bothered to deco-rate their apartment. She didn’t think they even owned decorations. Slipping the key into the lock, she opened the door. Inside the air smelled of warm garlic bread and spicy chili simmering on the stovetop. In the corner of their apartment near the tall windows was a tree, fully decorated and dripping with threads of silver tinsel. The table, usually a dump- ing place for newspapers, mail, and project notes, had been cleared and spread with a bright red cloth. In the center was a basket of evergreen branches and cinnamon-scented pinecones. From the kitchen came a soft thread of Christmas music playing on the radio and the sound of a pot lid clattering against a pot, sounds not usually heard in her house. Tossing her keys in the basket and stuffing her coat in the closet, she went to investigate. Appearing extraordinarily pleased with himself, Gordon stood before the stove wearing a green apron outlined in red garland and printed with flying reindeer. The kitchen was clean, bread was warming in the oven and a giant pot of chili simmered on the stove. 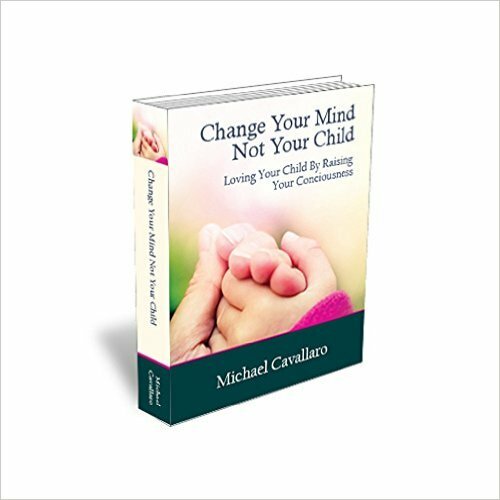 “Change Your Mind, Not Your Child” brings to the forefront what goes on beneath the surface in parent/child relationships. Those aspects that have been hidden up until now become clear. Situations that have been unmanageable become manageable, as we learn that it’s not the child that has to change – it’s us. The love of self creates an example for children so they can love themselves fully. Look within and discover how your own upbringing and family patterns influence your life experiences today. Learn how to assist yourself and your children in becoming self-directed, self-actualized and loving human beings. This information when applied in daily life will transform and transmute one to their very core and the way they parent, no longer perpetuating the same old family patterns that have been carried on for generations. The creation of a new way of living that is rich and fulfilling. A child is never too young to hear your words, but you also have to remember that your energy must match your words. The energy in your feeling, the energy in your attitudes must match your touch and your words. When that energy is congruent, as the child gets older their cognitive abilities expand, then the explanation matches everything that they felt and a complete understanding is achieved. Whether they agree with it or like it is not the issue. The purpose here is not to have them like it, it’s to have them understand and feel what you are teaching them. That’s why what you do when you do these things must be done with love. 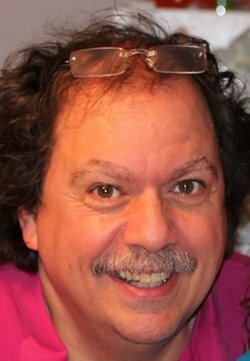 Michael Cavallaro’s life work has been finding ways for people to integrate their spiritual nature with their everyday lives. For over 40 years he has helped thousands to lead healthier, happier lives by finding practical solutions to life’s challenges. As an international speaker, his true gift is expressing what each person knows within their own heart but never fully admits; assisting individuals who are ready to shed what’s not working in order to let their own light shine. Levant Fever is a memoir from the political underground darkness of Assad’s Syria. Seen through the eyes of a boy growing into a man, in the middle of feverish historic events. Not widely understood, or told before in the West but at the roots of the current conflicts. The narrative grips the reader with its honesty, brutality and beauty. The author describes his own journey, reflections and life stories told to him whilst he was held without trial for 14 years, as a political prisoner in several prisons. These included Palmyra, noted by Amnesty International as one of the most oppressive prisons in the world. The work is an enthralling and informative mosaic reflecting the colours, sects, religions, politics, legends and geography of the Levant. The journey spans the areas deserts, coastline, mountains and forests. It speaks of family, friendship, love, hope, fear, torture, hiding and escaping. A truly human tale of a life well lived, a life of conscience, courage and endurance and ultimately one of triumph of the human spirit. 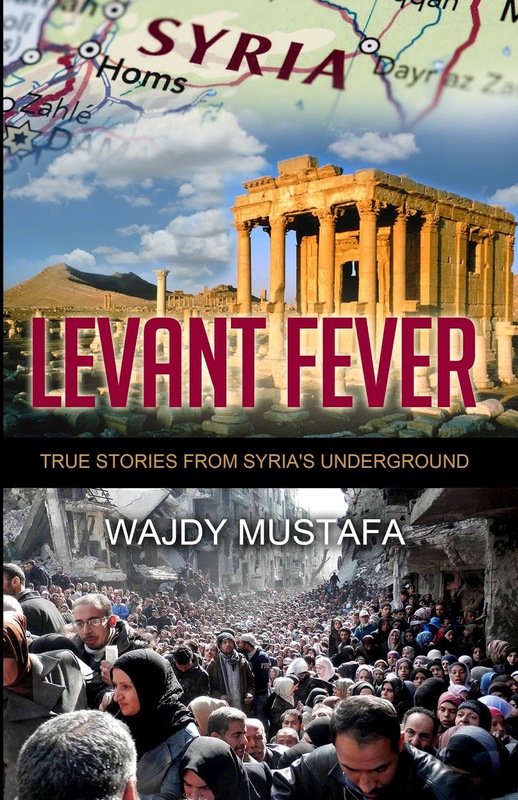 Wajdy Mustafa was born in Tartous, Syria. A long time political activist and writer for social, democratic and human rights in Syria; he was imprisoned without trial for 14 years. Despite torture and solitary confinement, Wajdy continued to find ways to express and campaign for his belief in truth and justice. He lives now in Northern California. As a former Marine Police Officer and rodeo bull rider, Jesse Knight is no stranger to dangerous situations. 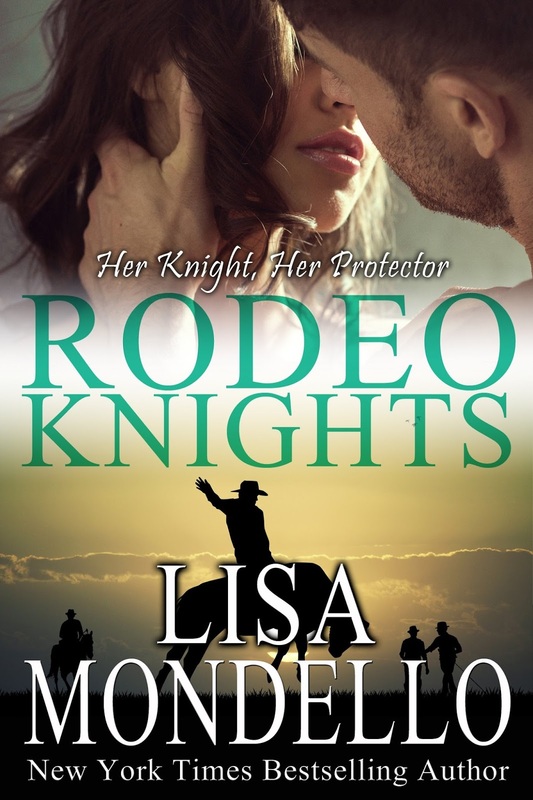 But when animals in the rodeo circuit start mysteriously falling sick and dying, he knows someone is behind the deed and can't just walk away. Especial when the lovely stock contractor starts receiving death threats. 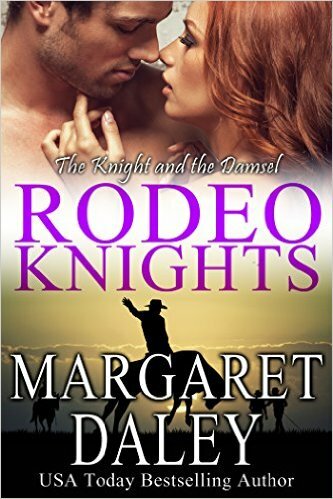 Jessie had been ready to retire from Rodeo and settle down on small Wyoming ranch, but how can he sit back while defenseless animals are being targeted and a woman he's come to love is in danger? Carly Duggan doesn't need a cowboy to help her investigate why her beloved stock has suddenly fallen sick and contacting the local police to investigate only led to more trouble and resulted in her getting death threats. 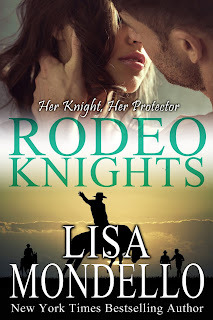 She turns to Jesse Knight, whose training in law enforcement and his knowledge of the rodeo circuit gives him the unique ability to investigate what's happening to her livestock without causing further suspicion. Although Carly downplays the threats to her life, Jesse knows Carly's life is in danger if she gets too close to the truth. He insists on being on her shadow to keep her safe. But Jesse can't possibly keep Carly's heart safe...from falling in love with him? 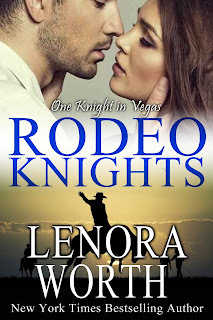 When Cella Cassidy calls Sean Knight to investigate the illness of a prized rodeo bronc, the veterinarian alerts his brothers Jesse and Michael. The three brothers are trying to find out who is sabotaging several of the rodeo ranches around Nevada. Cella inherited the Triple Seven Rodeo Ranch which specializes in raising, breeding and selling rodeo bulls and horses. She had a lot riding on this particular horse. She needs to put the Triple Seven back on top. The ranch has fallen on hard times but Cella didn’t know this until her father had a heart attack. When Sean tells her the horse was poisoned, Cella thinks this is one more hurdle to overcome. She’s determined to save her father’s legacy and Sean has a reputation as one of the best animal doctors in the West. Sean and Cella go over her records and try to piece together clues. Could a worker have poisoned the horse? Or did someone from the outside do this? When things escalate to the breaking point, they grow more attracted to each other. And soon Sean has a new goal--to keep Cella alive. This is a hilarious light hearted and charming romance about a delightfully funny family and their determination to win the prestigious Christmas cookie competition against all odds. It's sure to bring a smile to your face and uplift your heart and make it a truly magical blue ribbon Christmas! Los Angeles super model, Summer Landers, finds herself stuck going home for Christmas after ten years of avoiding the heartbreak she left there. 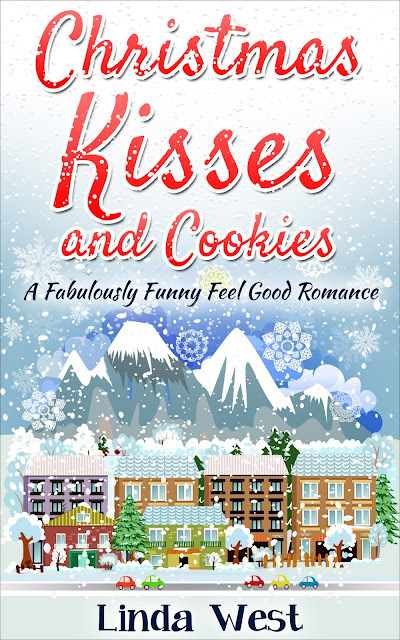 After a snowstorm hits closing most of the airports, she is forced to fly back to Christmas-obsessed Kissing Bridge Mountain where people take their holidays, and cookies seriously. Upon arrival Summer finds her family legacy in shambles. Despite the Landers winning the blue ribbon every year for decades at the Christmas Fair Cookie Competition, somehow they had been unthroned by their neighbor Mrs. Beaverton! The Landers women, with their family curse and strange and unique talents, now must struggle to find a way to best their competition who has secretly employed the help of the Evil-Martha Stewart. Besides dealing with the crazy antics of the town people, Summer must also avoid her ex boyfriend Brad, who has returned home for the Christmas holidays as well. Now she is confronted with her feelings and the truth about that fateful night under the mistletoe so long ago. This is a recent newly edited edition. 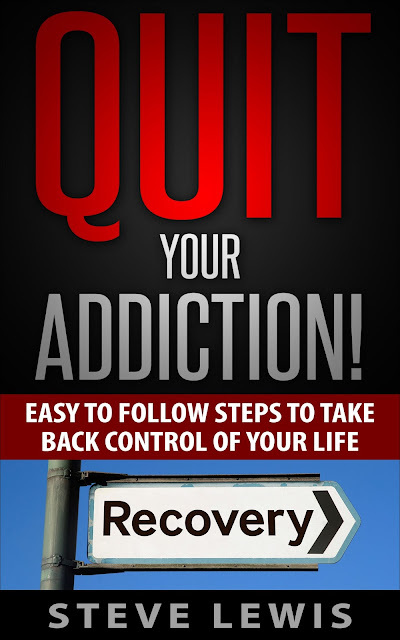 Anyone feeling trapped in addiction or problem behaviour. Those who care for someone with an addiction. People working in the substance misuse or addiction field. Why it’s not the addict’s fault they keep using (and using more of it and more often). Where someone is in the change process. The main reason for relapse and what to do about it. How to take back control of your life. The two big mistakes many people make when dealing with cravings. 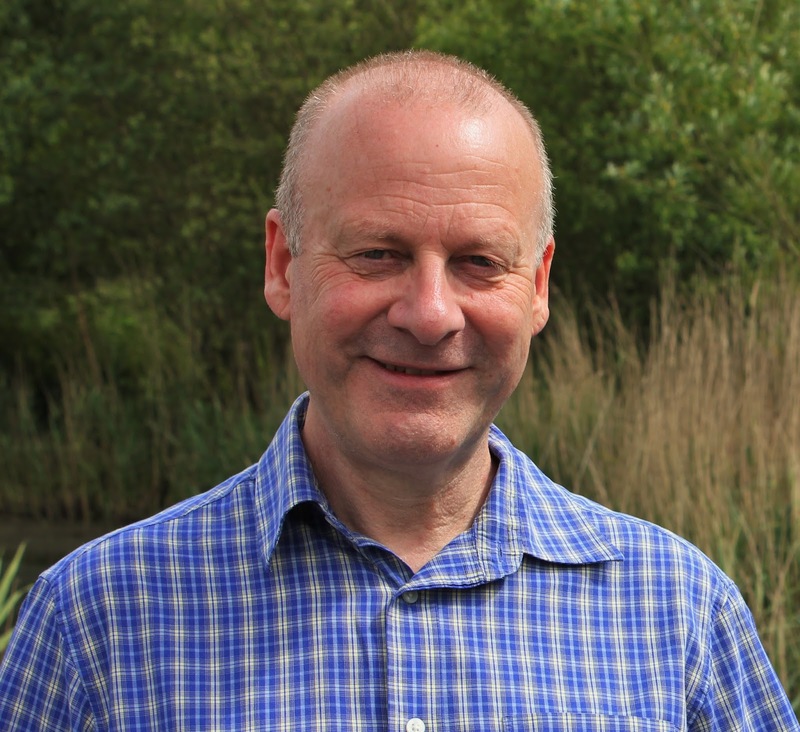 I’m Steve Lewis, a hypnotist / clinical hypnotherapist from Caversham, Reading, Berkshire. I can help you regain control of your life. Why do I call myself a hypnotist and not just another hypnotherapist? Well I like to think that everyone who is hypnotised by me will know it; we’ll have some fun, even when working on serious issues. When you experience the power of your own mind you’ll appreciate how we can use that to facilitate change – the changes you’re looking for. Thy love is ageless, it penetrates the depth of time and encircles the face of your abiding love. In the shelter of the storm it shines it majestic power, giving soothing tranquility to the stormy seas. Know thy flames can never be extinguished or humanity hold its essence in the palm of their hands, for it is the power of the Holy Spirit that radiates its light and gives strength to the weary. It flows as music on air its notes give harmony and feeds the heart compassion. Monica F. Hudson has given her writing ministry a visionary depiction of boldness and creative awareness through her covers that leads you down a path inside the pages of not just truth, but a praise dance that any saint would give up a rejoicing word for. She is after all a spiritual writer, who has a genre that includes Christian discipleship, empowerment, and spiritual inspirations, leading her to a string of book, journals, and articles that look like a hymnal turned inside out. She is the author/publisher of Hudson Publishers, a company that markets Christian books for those who want a deeper meaning in their walk with Jesus Christ. She is a member of Allen Temple A.M. E. Church in Pine Bluff, AR. She is a member of the American Christian Writers, Spiritual Writers Association, Association of Writers and Writers Programs just to name of few. Find out more about this writing ministry at www.2cdivineanswers.com. Andrea, 24, hasn’t had an easy ride in life. As a gifted wildlife artist and photographer, she now finds herself estranged from her parents, single, and stuck in a rut. Her only reprieve is her Grandpa’s plot and cabin which provides the escapism she needs and a base from which to work her artistic magic. As a child and teenager, Andrea kept a journal, but she feels compelled to start writing again after a tragedy hits the village. When she becomes close to her childhood friend, the rich and handsome entrepreneur, Allan Fox, she realises her feelings are changing. But how does Allan feel about her, especially as he is in a state of flux too? Then Andrea starts to complete a series of commissions for a wildlife charity and finds the green-eyed ranger, Ben, mysterious and attractive. But what secret does he hide? Events happen quickly! Andrea realises it is time to face life and deal with the demons which have haunted her, or else she’ll always struggle with her relationships. A must-read for lovers of contemporary fiction, romance and romantic suspense! 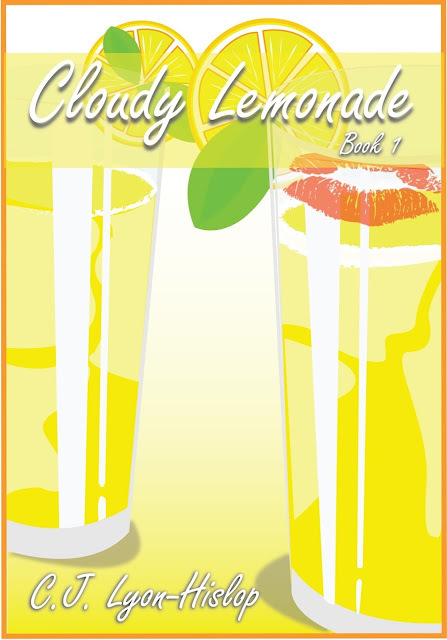 Cloudy Lemonade is the first journal in "The Lemonade Series" of three. The second journal, 'Fizzy Lemonade' is due to be released in November 2015 and continues Andrea’s story. A really engaging, well put together read. It has a very cozy feeling to it and the characters and relationships are marvellous! Ben asked where I worked and seemed genuinely interested in art. Ten minutes later, we were still talking about our joint passion – wildlife; Ben from a conservation angle and myself from an artistic angle, and he mentioned he wanted to see more of my work. Ok, that was too much to take in and I was now trying to eat cheese and biscuits to curb my grumbling stomach. I tried to answer, but a huge coughing fit ensued. Ben grabbed a glass of water and thumped my back vigorously and I almost died, both of the pain and the embarrassment. Ben apologised for asking at the wrong time and disappeared to find us both a drink. A few minutes later he was back and I had recovered enough to speak. I had a website and repeat work came through exhibitions, fairs and word-of-mouth recommendations. He took a pen and card out of his shirt pocket and I stared at him, as he wrote down my website details. His curly hair needed a cut in my opinion, but he was muscular and over six feet tall. I could kiss him very easily as I noted his full lips. Oh my, he was gorgeous and I was hugely attracted to him. I tried to explain that wasn’t quite what I had in mind, but could feel myself blush furiously. Elayne spotted me, came over and would email some dates to go through the artwork. Later on, as I was leaving, I kicked myself. I had made a fool of myself in front of the gorgeous Ben. It was true, though, he’d be lovely to draw. Originally from Lancashire, C.J., or Cheryl, when not writing, has happily travelled around the world, experiencing adventures which have fired her imagination and inspiring much of her work. As a creative writer for over 20 years, not all of her work is fiction-based. She designs training courses/workshops from initial concept to the delivery stage, and has prepared and delivered official communications copy for organisations globally. When she worked freelance for twelve years, she was a bid-writer and consultant. Now living in Cumbria, her passion is writing and walking two rescue greyhounds on the beaches and fells; the perfect environment for creativity. She is currently working on the third of the trilogy, "Still Lemonade", part of "The Lemonade Series", due to be launched in July 2016. This charts the turbulent, but exciting, life of 24/25 year old Andrea, in a journal format.